This 650mAh battery is a battery life indicater light. Users will know the vape battery capacity via the colour of the LED Button. The e cig battery lights show fully charged (green) to needing charged (red) respectively; green 100%, amber 40% and red 15%. This e cigarette battery has a 650 mAh capacity which makes it a great component for an e cigarette starter kit. The vape operating range is from 3.7 volts – 4.0 volts. 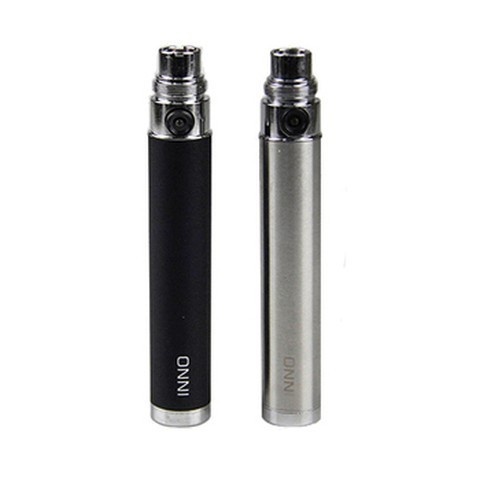 This 650mAh Innokin Inno Battery uses pass through charging which means you can vape while charging. To charge the e cig kits battery we recommend only using an Innokin charger for both safety and device purposes. The USB charger for this battery can be found in the accessories part of the website.